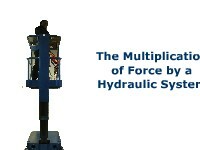 This animated lesson shows how to calculate the amount of force generated by hydraulic cylinders. In this animated object, students view a depiction of how force is transmitted by hydraulic cylinders and confined fluid. Learners study how a DC motor generates counterelectromotive force. A short quiz completes the object. 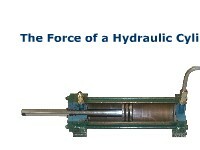 In this interactive object, learners read how to determine the force created by a hydraulic cylinder during extension and retraction. A brief quiz completes the activity. 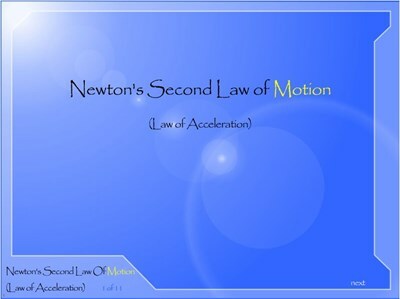 In this animated and interactive object, learners examine a depiction of how force is multiplied by a larger cylinder when pressure from a pump is applied to a smaller cylinder. 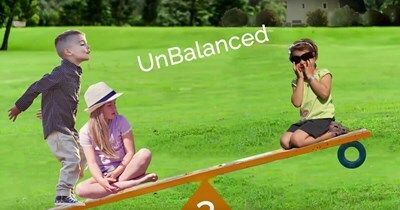 A short quiz completes the activity. 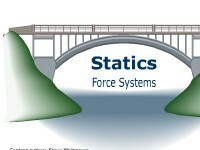 Learners read an introduction to the four basic types of force systems for a statically determinate condition. 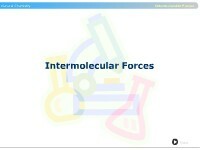 In this well-illustrated activity, learners examine the three types of intermolecular forces: dipole-dipole forces, London or Van der Waals forces, and the hydrogen bond. Two interactive questions are included. Learners use trigonometry to calculate angular input forces involving Class 2 mechanical levers. 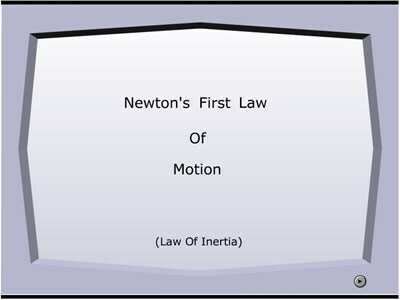 Learners examine how a force may be considered to act at any point along its line of action as long as the magnitude and direction of the force remain unchanged. Numerical verification is provided. Users calculate the tonnage required to punch holes in a specific base metal. The formula to be used is provided along with the tensile strength for various metals. A calculator is required. This learning object shows how blood droplets are held together by a strong cohesive molecular force that produces surface tension in each drop and on the external force. Surface tension pulls the surface molecules of a liquid toward its interior, decreasing the surface area and causing the liquid to resist penetration. In this interactive object, learners use the Pythagorean Theorem to calculate forces. In this interactive object, students use the Law of Sines to calculate forces. In this interactive object, students view an animated depiction of Class 3 levers. A matching quiz completes the activity. Learners apply lever ratios to calculate the mechanical advantage in basic mechanisms.